Wake up early this morning and start driving towards the famous Tiger Hill (11 km) to experience a sunrise like never before. 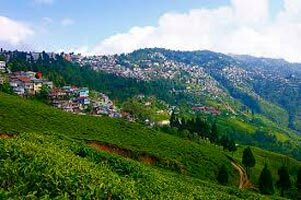 As you pass through, thick forests of oak and magnolia, get ready to enjoy a sunrise over Kanchenjunga Peak (subject to clear weather). Tiger Hill is famous to offer a panoramic view of Mount Everest and Mount Kanchenjunga together. As the first rays of the sun hit the place, you get to see the twin peaks of Kanchenjunga painted in shades of pink and orange. 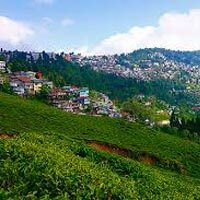 Add Description Have some delicious breakfast and then leave for Siliguri / New Jalpaiguri Railway Station (119 km) / Bagdogra Airport (126 km) / Tenzing Norgay Bus Stand (113 km). On reaching, carry on with your onward journey.